Toddlers are adorable little bundles of joy, but they are also brutally honest little beings! If you buy them something they don’t like the odds are they will tell you. There is nothing more embarrassing than a child opening a toy you have given them and tossing it aside or worse still openly saying they don’t like it! All this can be easily avoided. Keep in mind the likes/dislikes of the toddler you are buying for and be sure to check out the best toddler toys. We have put together this guide to help you on your way. This is a unisex gift guide and I am aware that having a doll in it will be controversial. I personally believe there are no such things as girls toys and boys toys. There are just toys for all children to enjoy. If you have a boy and you are against the idea of getting him a doll, what is stopping you? Are you worried he will become a good father or uncle one day? Honestly, what’s the worst can happen? I go to a lot of play sessions and both genders seem to get as much fun, pleasure and learn vital nurturing skills from playing with dolls. We love the Baby Born Interactive Boy Doll. The whole Baby Annabell range is amazing. There is so much available that it takes doll roll play to a whole new level. 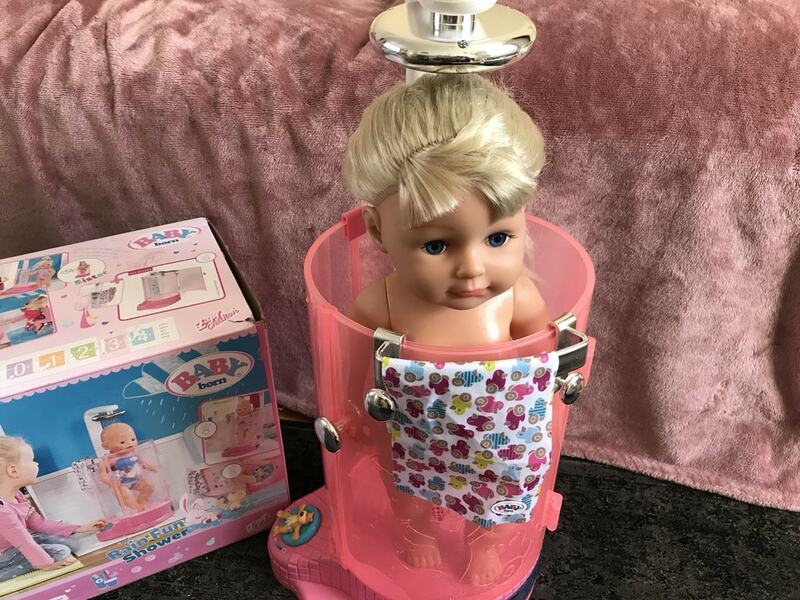 In addition to the Baby Annabell Brother Doll we have the Baby Annabell Interactive Doll, the Baby Annabell Learn To Swim Doll, the Baby Annabell Bedroom, the Baby Annabell High Chair and the Baby Born Rain Fun Shower. I cannot tell you how much use Lily gets out of this set. She plays with it all every single day. 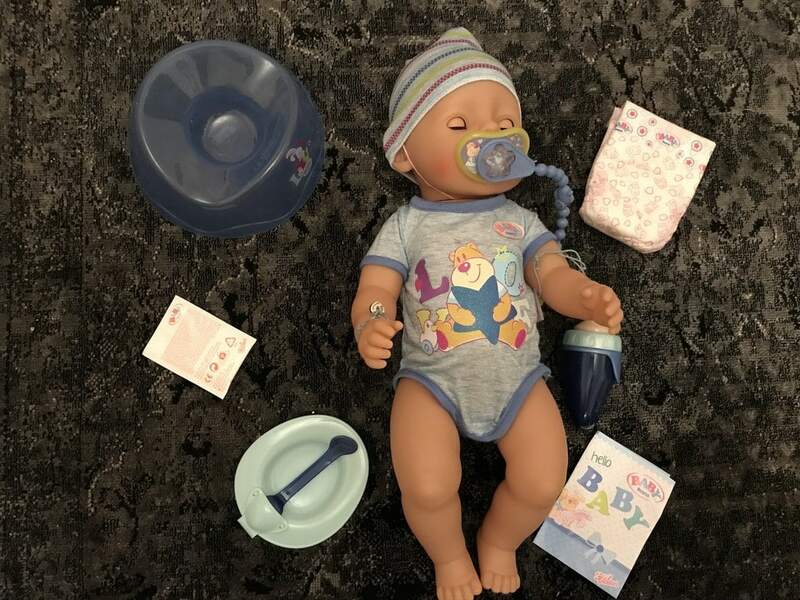 She loves bathing with Baby Annabell Learns to Swim, She loves cuddling and soothing Baby Annabell & the Baby Born Boy Doll; she sings to them, plays with them, puts them down for naps in their little bedroom, changes their clothes, showers them. She loves them! The Baby Born Pony Farm Sunny and Baby is a perfect gift for Toddlers. Following on from the success of their Baby Annabell Interactive Doll Zapf Creation have launched Baby Born Pony Farm sunny and baby. It features Sunny (a pony) and baby (her foal). Both horses are so soft and cuddly that any toddler is bound to fall in love with them! They are great fun to play with as the have interactive features such as neighing and walking. The interactive features are really easy for a toddler to use by themselves; simply press the right ear for the horse to neigh and the left ear for the horse to walk. The horses can even walk together at the same time! There is also a Baby Born Doll & A Baby Born Stable available to purchase separately. This range is one of the most played with in this house and that’s why for the second year running Baby Annabell & Baby Born from Zapf Creation is at the very top of our Toddler Gift Guide. 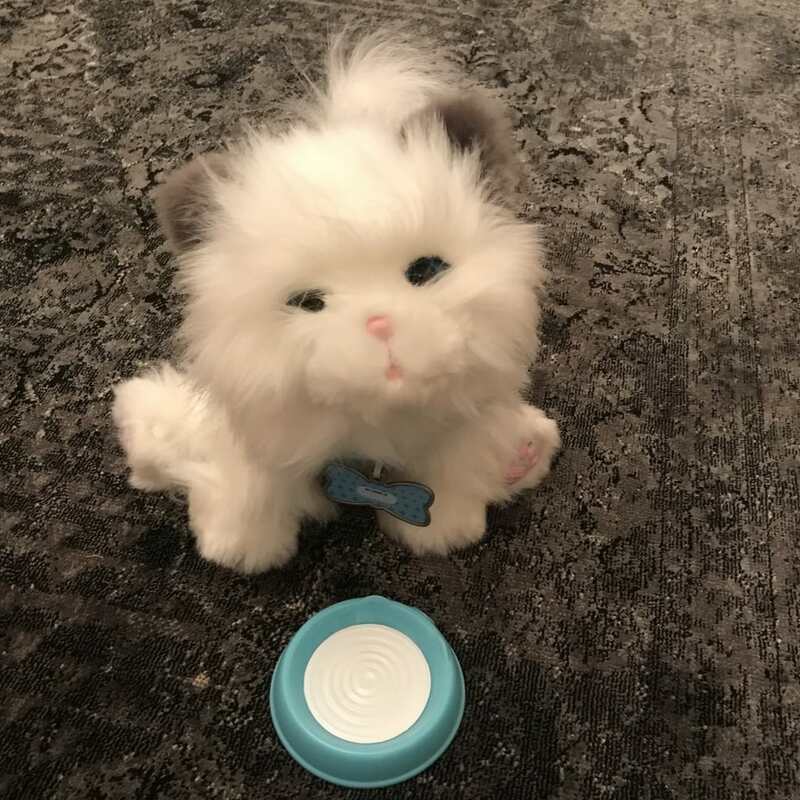 This cute and cuddly kitten has over 20 kitten sounds built in; he wags his tail when you pat him and has interactive features that make him behave like a real cat. The cat can even be fed with the feeding included. The cat does require 4 x AAA batteries so I would recommend getting the batteries at the same time. The Toy is based on Bing Bunny; a character from the BBC CBeebies TV Show Bing. Bing Bunny is a chatty, cheerful & very lovable character who gets into the same scrapes & mess and toddler do; I think that must be why they identify so well with him! The Bing Bunny Interactive Soft Toy is the perfect size for toddlers. The toy is great fun, he is full of interactive games which toddlers love to play along with. He also has a number of the classic Bing phrases built in. The Bing Bunny Interactive Soft Toy has realistic movements and is really easy for the toddler to work for themselves as everything is controlled by simply pressing the button on Bing’s jumpsuit. This toy really brings the lovable character that is Bing Bunny to life. The Bing Interactive Soft Toy is very soft, fluffy and cuddly. Fisher Price My Friend Bing Interactive Soft Toy is available from The Entertainer. The other characters from the series are also available so you can collect the full set!